Gliese 876 is located fairly close to the Solar System. 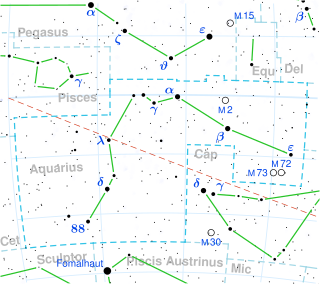 According to astrometric measurements made by the Hipparcos satellite, the star shows a parallax of 213.28 milliarcseconds,  which corresponds to a distance of 4.69 parsec s (15.3 ly ), currently making it the third-closest known star with orbiting planets, after Epsilon Eridani and Gliese 674. Despite being located so close to Earth, the star is so faint that it is invisible to the naked eye and can only be seen using a telescope. Hipparcos was a scientific satellite of the European Space Agency (ESA), launched in 1989 and operated until 1993. It was the first space experiment devoted to precision astrometry, the accurate measurement of the positions of celestial objects on the sky. This permitted the accurate determination of proper motions and parallaxes of stars, allowing a determination of their distance and tangential velocity. When combined with radial velocity measurements from spectroscopy, this pinpointed all six quantities needed to determine the motion of stars. The resulting Hipparcos Catalogue, a high-precision catalogue of more than 118,200 stars, was published in 1997. The lower-precision Tycho Catalogue of more than a million stars was published at the same time, while the enhanced Tycho-2 Catalogue of 2.5 million stars was published in 2000. Hipparcos' follow-up mission, Gaia, was launched in 2013. 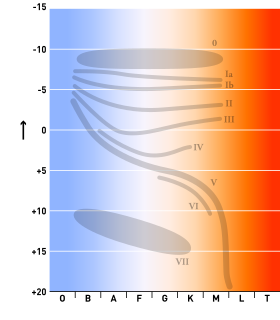 Infrared radiation (IR), sometimes called infrared light, is electromagnetic radiation (EMR) with longer wavelengths than those of visible light, and is therefore generally invisible to the human eye, although IR at wavelengths up to 1050 nanometers (nm)s from specially pulsed lasers can be seen by humans under certain conditions. IR wavelengths extend from the nominal red edge of the visible spectrum at 700 nanometers, to 1 millimeter (300 GHz). Most of the thermal radiation emitted by objects near room temperature is infrared. As with all EMR, IR carries radiant energy and behaves both like a wave and like its quantum particle, the photon. The orbits of the planets of Gliese 876. Note that the strong gravitational interactions between the planets causes rapid orbital precession, so this diagram is only valid at the stated epoch. Geoffrey William Marcy is an American astronomer. He is one of the pioneers and leaders in the discovery and characterization of exoplanets. Marcy was Professor of Astronomy at the University of California, Berkeley and an Adjunct Professor of Physics and Astronomy at San Francisco State University before stepping down in October 2015. His colleagues in the Berkeley Astronomy Department forced him to resign after allegations of sexual harassment were substantiated by a Berkeley investigation. Gliese 876 b is an exoplanet orbiting the red dwarf Gliese 876. It completes one orbit in approximately 61 days. Discovered in June 1998, Gliese 876 b was the first planet to be discovered orbiting a red dwarf. Gliese 876 e is an exoplanet orbiting the star Gliese 876 in the constellation of Aquarius. It is in a 1:2:4 Laplace resonance with the planets Gliese 876 c and Gliese 876 b: for each orbit of planet e, planet b completes two orbits and planet c completes four. This configuration is the second known example of a Laplace resonance after Jupiter's moons Io, Europa and Ganymede. Gliese 876d, discovered in 2005, is the innermost known planet. 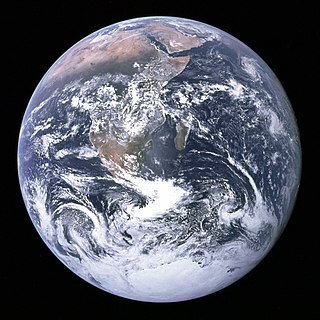 With an estimated minimum mass only 5.88 times that of the Earth, it is possible that it is a dense terrestrial planet. Gliese 876 c, discovered in 2001, is a giant planet at 0.62 Jupiter-mass planet. It is in a 1:2 orbital resonance with the outermost known planet, taking 30.340 days to orbit the star. The planet orbits within the habitable zone. Its mass makes it more likely to be a Class II planet in the Sudarsky extrasolar planet classification. The presence of surface liquid water is possible on sufficiently massive satellites should they exist. Gliese 876 b, discovered in 1998 is around twice the mass of Jupiter and revolves around its star in an orbit taking approximately 61 days to complete, at a distance of only 0.208 AU, less than the distance from the Sun to Mercury. Its mass makes it more likely to be a Class II or Class III planet in the Sudarsky model. The presence of surface liquid water is possible on sufficiently massive satellites should they exist. Gliese 876 e, discovered in 2010, has a mass similar to that of the planet Uranus and its orbit takes 124 days to complete. ↑ Uncertainties in the planetary masses and semimajor axes do not take into account the uncertainty in the mass of the star. HD 37124 is a yellow dwarf star approximately 103 light-years away in the constellation of Taurus. Three extrasolar planets have been found to orbit the star. HD 74156 is a yellow dwarf star in the constellation of Hydra, 210 light years from the Solar System. It is known to be orbited by two giant planets. Gliese 777, often abbreviated as Gl 777 or GJ 777, is a yellow subgiant approximately 52 light-years away in the constellation of Cygnus. The system is also a binary star system made up of two stars and possibly a third. As of 2005, two extrasolar planets are known to orbit the primary star. Gliese 581 is a star of spectral type M3V at the center of the Gliese 581 planetary system, about 20 light years away from Earth in the Libra constellation. Its estimated mass is about a third of that of the Sun, and it is the 89th closest known star to the Sun. HD 1237 is a binary star system approximately 57 light-years away in the constellation of Hydrus. HD 73526 is a G-type main-sequence star. It is about 310 light-years away in the constellation Vela. Gliese 876 d is an exoplanet approximately 15 light-years away in the constellation of Aquarius. The planet was the third planet discovered orbiting the red dwarf Gliese 876. At the time of its discovery, the planet had the lowest mass of any known extrasolar planet apart from the pulsar planets orbiting PSR B1257+12. Due to this low mass, it can be categorized as a super-Earth. Gliese 876 c is an exoplanet orbiting the red dwarf Gliese 876, taking about 30 days to complete an orbit. The planet was discovered in April 2001 and is the third planet in order of increasing distance from its star. HD 70642 is a yellow dwarf star in the constellation of Puppis located 92 light years away. This star has about the same mass and radius as the Sun, is slightly cooler and less luminous, and is richer in abundance of iron relative to hydrogen. Pi Mensae, also known as HD 39091, is a yellow dwarf star in the constellation of Mensa. This star has a high proper motion. The apparent magnitude is 5.67, which can be visible to the naked eye in exceptionally dark, clear skies. It is nearly 60 ly away. 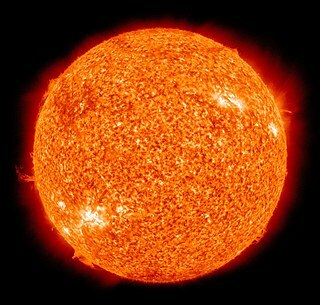 The star is slightly larger than the Sun in terms of mass, size, luminosity, temperature, and metallicity and is about 730 million years younger. It hosts two planets. Gliese 849 is a M3.5V red dwarf star approximately 29 light years away in the constellation of Aquarius. It has the first planet discovered orbiting a red dwarf with a semi-major axis greater than 0.21 AU. Gliese 317 is a red dwarf approximately 50 light-years away in the constellation of Pyxis. As of 2011, two extrasolar planets have been confirmed to be orbiting the star. Photometric calibrations and infrared spectroscopic measurements indicate that the star is enriched in heavy elements compared to the Sun. Gliese 86 is a K-type main-sequence star approximately 35 light-years away in the constellation of Eridanus. It has been confirmed that a white dwarf orbits the primary star. In 1998 the European Southern Observatory announced that an extrasolar planet was orbiting the star. Gliese 3021 b, also known as GJ 3021 b or HD 1237 b, is an extrasolar planet approximately 57 light-years away, orbiting its bright G-dwarf parent star in the Southern constellation of Hydrus. It was discovered with the Swiss Euler Telescope at the Chilean La Silla Observatory in 2000. 1 2 3 4 5 Brown, A. G. A.; et al. (Gaia collaboration) (August 2018). "Gaia Data Release 2: Summary of the contents and survey properties". Astronomy & Astrophysics . 616. A1. arXiv: 1804.09365 . Bibcode: 2018A&A...616A...1G . doi: 10.1051/0004-6361/201833051 . Gaia DR2 record for this source at VizieR. ↑ Lurie, John C; Henry, Todd J; Jao, Wei-Chun; Quinn, Samuel N; Winters, Jennifer G; Ianna, Philip A; Koerner, David W; Riedel, Adric R; Subasavage, John P (2014). "The Solar Neighborhood. Xxxiv. A Search for Planets Orbiting Nearby M Dwarfs Using Astrometry". The Astronomical Journal. 148 (5): 91. arXiv: 1407.4820 . Bibcode:2014AJ....148...91L. doi:10.1088/0004-6256/148/5/91. 1 2 Samus; et al. (2007–2010). "IL Aqr". Combined General Catalogue of Variable Stars. Retrieved 2010-06-28. ↑ Terrien, Ryan C; Mahadevan, Suvrath; Bender, Chad F; Deshpande, Rohit; Robertson, Paul (2015). "M DWARF LUMINOSITY, RADIUS, ANDα-ENRICHMENT FROMI-BAND SPECTRAL FEATURES". The Astrophysical Journal. 802 (1): L10. arXiv: 1503.01776 . Bibcode:2015ApJ...802L..10T. doi:10.1088/2041-8205/802/1/L10. 1 2 3 4 von Braun, Kaspar; et al. (2014). "Stellar diameters and temperatures - V. 11 newly characterized exoplanet host stars". Monthly Notices of the Royal Astronomical Society. 438 (3): 2413–2425. arXiv: 1312.1792 . Bibcode:2014MNRAS.438.2413V. doi:10.1093/mnras/stt2360. 1 2 Bean, Jacob L.; Benedict, G. Fritz; Endl, Michael (December 2006). "Metallicities of M Dwarf Planet Hosts from Spectral Synthesis". Astrophysical Journal Letters. 653 (1): L65–L68. arXiv: astro-ph/0611060 . Bibcode:2006ApJ...653L..65B. doi:10.1086/510527. ↑ Rojas-Ayala, Bárbara; et al. (April 2012). "Metallicity and Temperature Indicators in M Dwarf K-band Spectra: Testing New and Updated Calibrations with Observations of 133 Solar Neighborhood M Dwarfs" (PDF). The Astrophysical Journal. 748 (2): 93. arXiv: 1112.4567 . Bibcode:2012ApJ...748...93R. doi:10.1088/0004-637X/748/2/93. 1 2 3 4 5 6 Correia, A. C. M.; et al. (February 2010). "The HARPS search for southern extra-solar planets. XIX. Characterization and dynamics of the GJ 876 planetary system". Astronomy and Astrophysics. 511: A21. arXiv: 1001.4774 . Bibcode:2010A&A...511A..21C. doi:10.1051/0004-6361/200912700. 1 2 Saffe, C.; Gómez, M.; Chavero, C. (November 2005). "On the Ages of Exoplanet Host Stars". Astronomy and Astrophysics. 443 (2): 609–626. arXiv: astro-ph/0510092 . Bibcode:2005A&A...443..609S. doi:10.1051/0004-6361:20053452. 1 2 Marcy, Geoffrey W.; et al. (1998). "A Planetary Companion to a Nearby M4 Dwarf, Gliese 876". The Astrophysical Journal Letters. 505 (2): L147–L149. arXiv: astro-ph/9807307 . Bibcode:1998ApJ...505L.147M. doi:10.1086/311623. ↑ Johnson, H. M.; Wright, C. D. (November 1983). "Predicted infrared brightness of stars within 25 parsecs of the sun". The Astrophysical Journal Supplement Series. 53: 643–711. Bibcode:1983ApJS...53..643J. doi:10.1086/190905. ↑ Bopp, B.; Evans, D. (1973). "The spotted flare stars BY Dra, CC Eri: a model for the spots, some astrophysical implications". Monthly Notices of the Royal Astronomical Society. 164 (4): 343–356. Bibcode:1973MNRAS.164..343B. doi:10.1093/mnras/164.4.343. ↑ Schmitt, Jürgen H. M. M.; Fleming, Thomas A.; Giampapa, Mark S. (September 1995). "The X-ray view of the low-mass stars in the solar neighborhood". The Astrophysical Journal. 450: 392–400. Bibcode:1995ApJ...450..392S. doi:10.1086/176149. ↑ Delfosse, X.; et al. (October 1998). "The closest extrasolar planet. A giant planet around the M4 dwarf GL 876". Astronomy and Astrophysics. 338: L67–L70. arXiv: astro-ph/9808026 . Bibcode:1998A&A...338L..67D. ↑ Jones, Barrie W.; Underwood, David R.; Sleep, P. Nick (April 2005). "Prospects for Habitable "Earths" in Known Exoplanetary Systems". The Astrophysical Journal. 622 (2): 1091–1101. arXiv: astro-ph/0503178 . Bibcode:2005ApJ...622.1091J. doi:10.1086/428108. ↑ Marcy, Geoffrey W.; et al. (2001). "A Pair of Resonant Planets Orbiting GJ 876". The Astrophysical Journal. 556 (1): 296–301. Bibcode:2001ApJ...556..296M. doi:10.1086/321552. ↑ Rivera, Eugenio J.; Lissauer, Jack J. (2001). "Dynamical Models of the Resonant Pair of Planets Orbiting the Star GJ 876". The Astrophysical Journal. 558 (1): 392–402. Bibcode:2001ApJ...558..392R. doi:10.1086/322477. ↑ Rivera, Eugenio J.; et al. (2005). "A ~7.5 M⊕ Planet Orbiting the Nearby Star, GJ 876". The Astrophysical Journal. 634 (1): 625–640. arXiv: astro-ph/0510508 . Bibcode:2005ApJ...634..625R. doi:10.1086/491669. ↑ Bean, J. L.; Seifahrt, Andreas (March 2009). "The architecture of the GJ876 planetary system. Masses and orbital coplanarity for planets b and c". Astronomy and Astrophysics. 496 (1): 249–257. arXiv: 0901.3144 . Bibcode:2009A&A...496..249B. doi:10.1051/0004-6361/200811280. 1 2 3 4 Rivera, Eugenio J.; et al. (2010). "The Lick-Carnegie Exoplanet Survey: A Uranus-mass Fourth Planet for GJ 876 in an Extrasolar Laplace Configuration". The Astrophysical Journal. 719 (1): 890–899. arXiv: 1006.4244 . Bibcode:2010ApJ...719..890R. doi:10.1088/0004-637X/719/1/890. 1 2 Gerlach, Enrico; Haghighipour, Nader (2012). "Can GJ 876 host four planets in resonance?". Celestial Mechanics and Dynamical Astronomy. 113 (1): 35–47. arXiv: 1202.5865 . Bibcode:2012CeMDA.113...35G. doi:10.1007/s10569-012-9408-0. ↑ Jenkins, J. S.; et al. (2014). "Improved signal detection algorithms for unevenly sampled data. Six signals in the radial velocity data for GJ876". Monthly Notices of the Royal Astronomical Society. 441 (3): 2253–2265. arXiv: 1403.7646 . Bibcode:2014MNRAS.441.2253J. doi:10.1093/mnras/stu683. ↑ Millholland, Sarah; et al. (2018). "New Constraints on Gliese 876—Exemplar of Mean-motion Resonance". The Astronomical Journal. 155 (3): 106. arXiv: 1801.07831 . Bibcode:2018AJ....155..106M. doi:10.3847/1538-3881/aaa894. ↑ B. C. Matthews; forthcoming study promised in J.-F. Lestrade; et al. (2012). "A DEBRIS Disk Around The Planet Hosting M-star GJ581 Spatially Resolved with Herschel". Astronomy and Astrophysics. 548: A86. arXiv: 1211.4898 . Bibcode:2012A&A...548A..86L. doi:10.1051/0004-6361/201220325. ↑ As of 2006: Shankland, PD; et al. (2006). "On the search for transits of the planets orbiting Gliese 876" (PDF). The Astrophysical Journal. 653 (1): 700–707. arXiv: astro-ph/0608489 . Bibcode:2006ApJ...653..700S. doi:10.1086/508562. . No transit has been found as of 2012, either; so they are unlikely. ↑ Konacki, Maciej; Wolszczan, Alex (July 2003). "Masses and Orbital Inclinations of Planets in the PSR B1257+12 System". The Astrophysical Journal. 591 (2): L147–L150. arXiv: astro-ph/0305536 . Bibcode:2003ApJ...591L.147K. doi:10.1086/377093. ↑ Butler, R. P.; et al. (December 2006). "Catalog of Nearby Exoplanets". The Astrophysical Journal. 646 (1): 505–522. arXiv: astro-ph/0607493 . Bibcode:2006ApJ...646..505B. doi:10.1086/504701. Wikimedia Commons has media related to Gliese 876 . Nemiroff, R.; Bonnell, J., eds. (2008-05-21). "A Dangerous Sunrise on Gliese 876d". Astronomy Picture of the Day . NASA . Retrieved 2008-06-21. Nemiroff, R.; Bonnell, J., eds. (1998-06-26). "A planet for Gliese 876". Astronomy Picture of the Day . NASA . Retrieved 2008-06-21. "Gliese 876 / Ross 780". SolStation. Retrieved 2008-06-21. "Gliese 876 : THE CLOSEST EXTRASOLAR PLANET". Observatoire de Haute Provence. Retrieved 2008-06-21. "Smallest extrasolar planet found". BBC News . 2005-06-13. Retrieved 2008-06-21.